For this week's U.S. Geography lesson we are focusing on Wisconsin. One of the fun facts we like to discuss for each state is the specific state food. This has been such a fun part for each state. Since we were studying Wisconsin we felt the need to sample several types of cheese. :) Plus I knew my husband would be able to hook us up with several samplings from the market. SCORE! I gave each of the kids five index cards, numbered 1-5. After tasting each type of cheese everyone had the chance to give a "cheese rating". We wrote down each rating and then at the end discussed the results. Let the games begin!!! We had the following samples: Cheddar, American, Jalapeno, Smoked Gouda, Smoked Cheddar, Muenster, Asiago, Gruyere, Colby, and Colby Jack. At this point things were going well. We had only sampled the basics... Cheddar and American. This was the aftermath of sampling the very spicy jalapeno cheese. This is by far one of my favorites but left the kids feeling a bit caliente! They all agreed that it tasted great at first but then "gotcha ya in the back of the throat". We resorted to water and crackers to "cleanse our pallets" in between cheeses. Then it all went downhill. This was the aftermath of the Asiago. The Gruyere had everyone running to the trashcan due to taste and smell...pee-yew! We agreed that just because it is "fancy" doesn't mean it is good! **We use Road Trip U.S.A. for our Geography Curriculum. It is fantastic and easy to use with multiple ages. Today kicks off Congenital Heart Disease Awareness Month. I thought I would share several...ok, lots of our pictures from our son's journey with CHD. The journey began in 2004 during my pregnancy with our first child. During the pregnancy details were discovered that Jacob would be born with only 3 quarters of his heart. 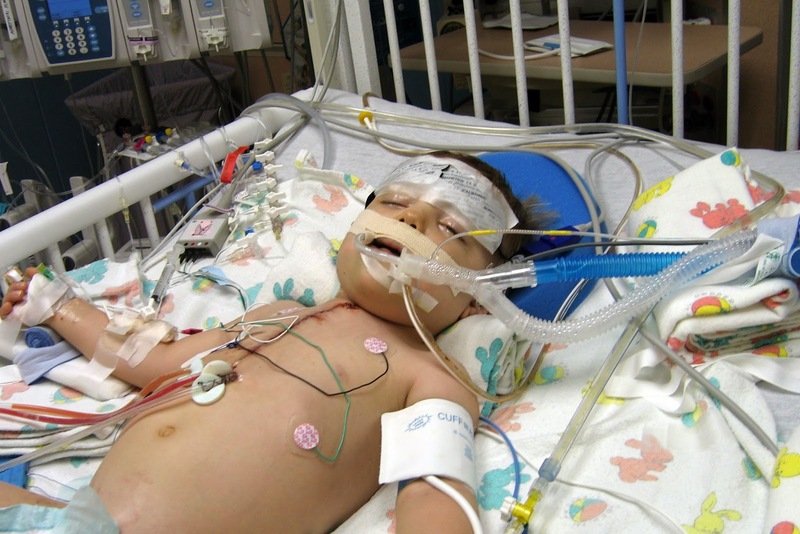 His actual diagnosis is Tricuspid Atresia, Hypo-plastic Right Ventricle (his right ventricle never formed). I have tried and tried to get this post written, but I type a sentence and then delete it, again and again and again. I think what would be best is to just let the pictures tell the story. I promise we were old enough to have children! We were 25, however, we both look about 14! After first surgery, he was so tiny a band-aid was able to cover the incision. The Aggie towels you see over his bed have been through every surgery. The white 12th Man towel was given to us in the PICU by a young doctor. Also, my grandmother made hospital gowns out of soft baby flannel. He loved them and got quite the compliments. Visiting with Daddy after his 2nd surgery. He loved to "buzz" in the bouncy seat. Taking a ride in the wagon. There was a very long wait before his catheter for the 3rd surgery. We resorted to money for entertainment. Right after the 3rd surgery. I had the hardest time accepting that his chest looked so bad. I had worked so hard on that scar! In the next several pictures you will notice less and less equipment. The tape and blue band across his forehead was to monitor temperature. However, it had been taped to his hair. It was not an easy thing to remove. He wasn't allowed any food or liquids (other than an IV) so a nurse introduced him to large q-tips that tasted like lemon. He finished the whole supply.... really! She even went to different floors looking for more. Yay! The tape and band plus nasal cannula have been removed!!! Resting with his best friend, Mr. Bear. When you have a child in PICU you let them sleep in whatever position is comfortable. Notice the Aggie towels again. :) We still have them and if he ever needs another surgery they will go with us. Visitors always make things seem better. Right before this picture was taken, the HALO flight team had been in the room. His IV had come out, again. He was such a hard stick they needed the HALO flight team to get the job done. It was crucial that we find a wagon. He got so tired of the hospital crib. He would refuse to get out of the wagon. Yep, with approval from the nurses, we decided just to let him stay in the wagon. He slept in it all night. The night nurses just worked around everything when they came in to check on him. Ma (my mom) would run over on her lunch breaks for a quick visit. Visiting his thoracic surgeon, Dr. Mark Morales. During the next month, please take some time to pray for families of heart babies. Also, please pray for the doctors and nurses. They are incredible people with extraordinary gifts that could only be given by God.